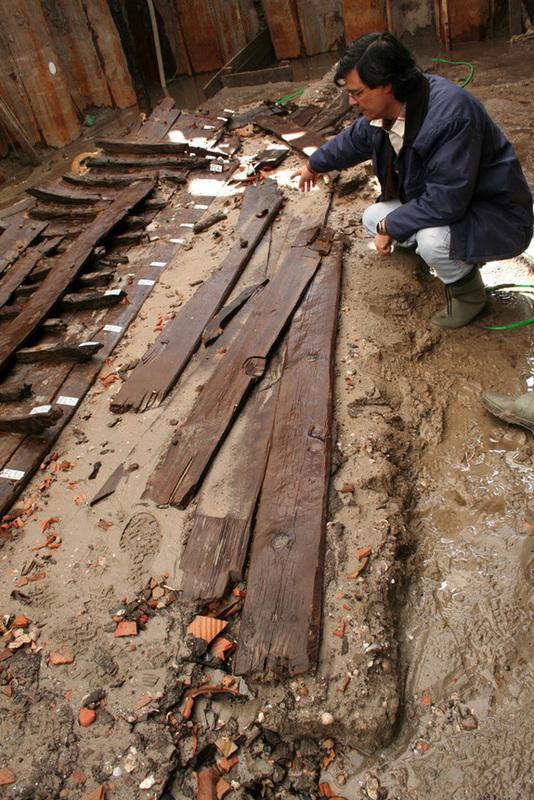 Earlier, we had talked about the what probably had been the oldest shipwreck in the Mediterranean, when historians came across a 2700-year old Phoenician ship. 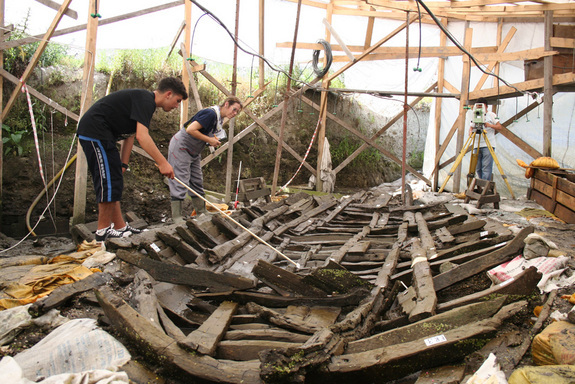 Well, this time around, the archaeologists have arguably scored bigger with the discovery of 37 shipwrecks, all from the Byzantine Empire (or more accurately the Eastern Roman Empire), with their respective dates ranging from 5th to 11th centuries. 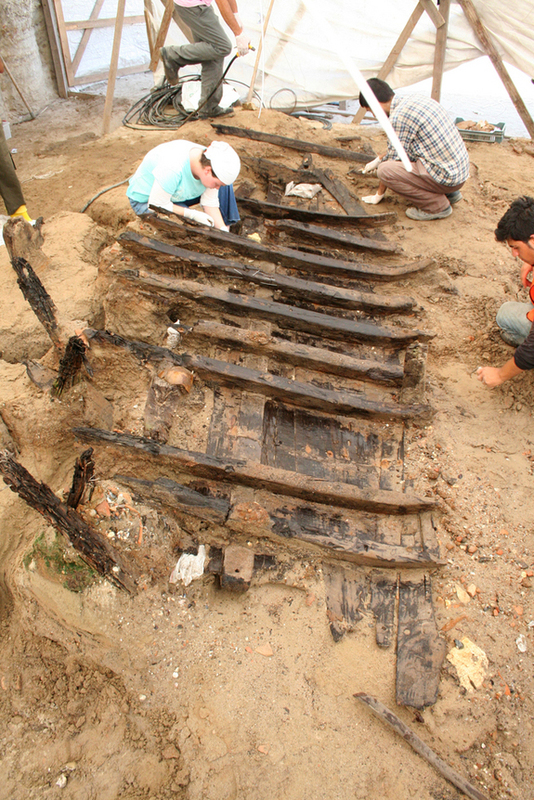 The excavation project was originally started in 2004, and its newest report entailed the finding of eight ships from late antiquity to early middle ages (600 AD – 900 AD) – all of which were unearthed at Yenikapi, in Istanbul. The site was a part of the ancient and medieval port, of the renowned city of Constantinople, which was later renamed Istanbul by its Ottoman conquerors. 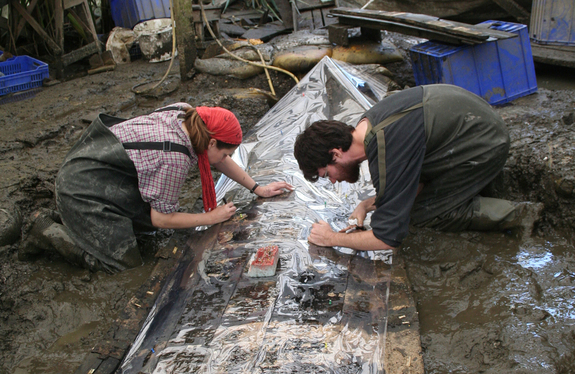 And according to study author Cemal Pulak, who belongs to the Institute of Nautical Archaeology at Texas A&M University, all of the ship specimens are large in sizes and still well preserved. But beyond their physical conditions, the impressive part about the extant crafts pertain to their engineering. 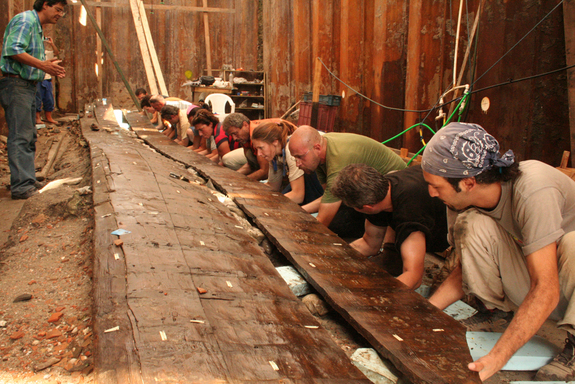 To that end, the researchers were quite fascinated by the complex level of shipbuilding exhibited by the trove of marine crafts. 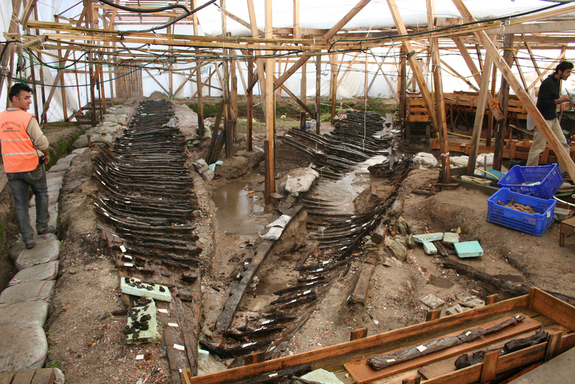 In fact, the range of the finds showcased the evolutionary process of building ships – with the older specimens being built with the shell-first technique, while the later specimens (after 7th century) accounted for an improved framework-first approach. 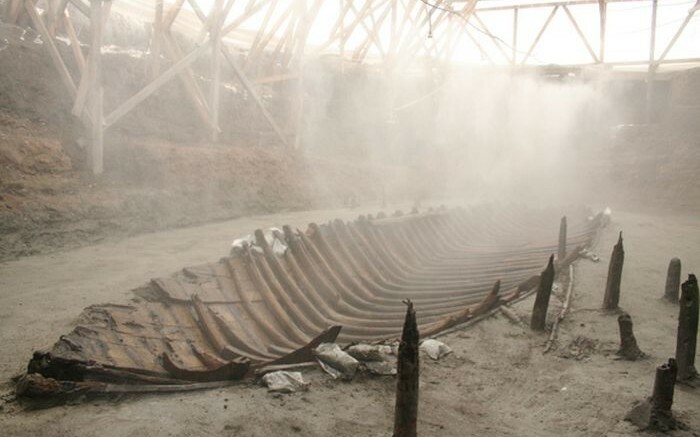 As for the types of ships that were found from the Yenikapi site, six of the eight ships were round in design, with their propelling capacity dictated primarily by sails. 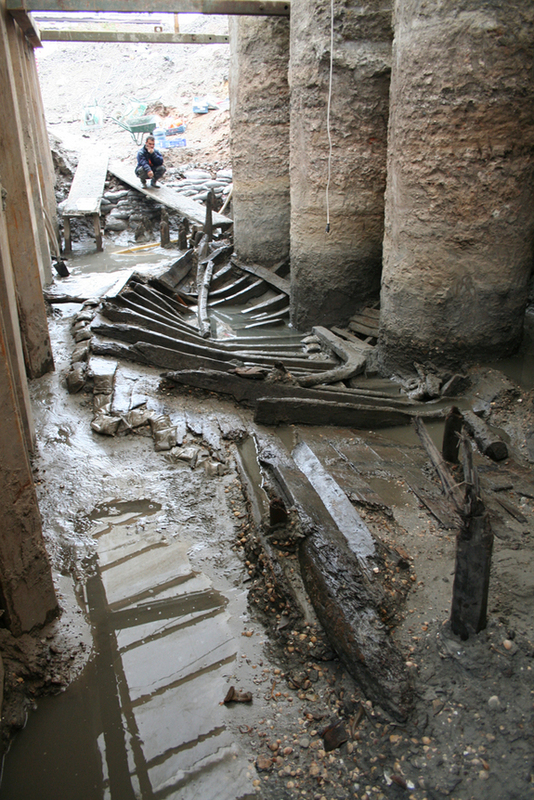 However, the other two specimens entailed the more developed galley variety, with their lengths of over 100 ft. And, in an interesting note, these were among the first of Byzantine galleys that were actually discovered from the particular period; as opposed to previous historical knowledge being only derived from medieval texts and diagrams. In other words, the finds can shed some light into the significant engineering capacity of the Eastern Roman craftsmen, who mainly hailed from the regions of Greece and Anatolia. It is through meticulous and time-consuming detective work that we slowly begin to understand how these ships were built, modified, overhauled and used. By such means, we try to understand the minds of the shipbuilders and their design and conceptualization processes, in order to better comprehend the history of science and engineering. 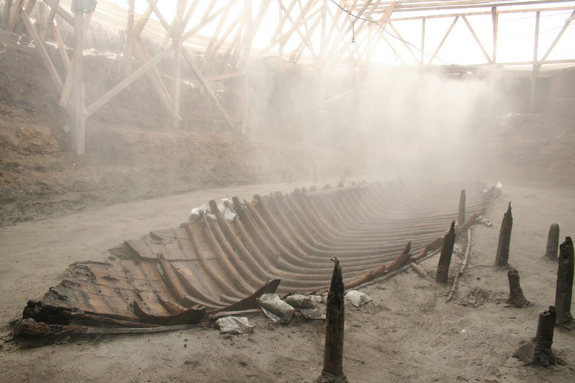 And, in case, you are interested in viewing the ships – an new Istanbul museum is expected to house all of the discovered ship components. 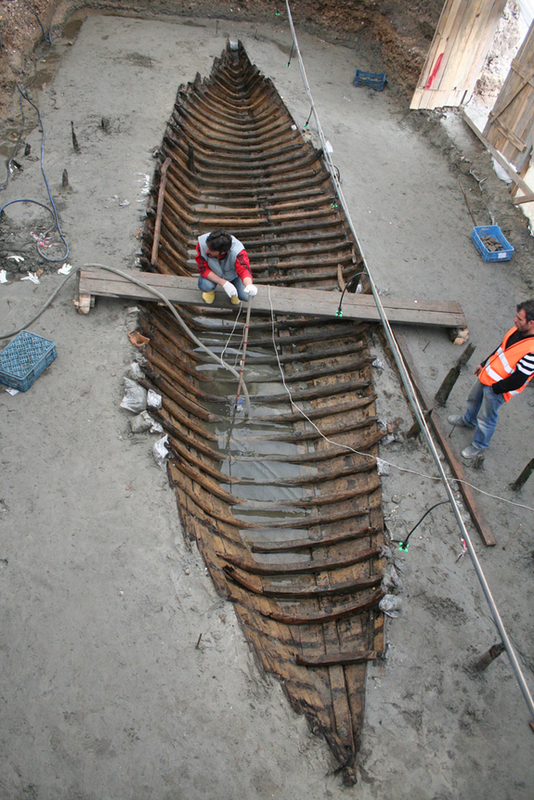 But unfortunately, it might take some years to fully restore the wooden components inside the main hulls.